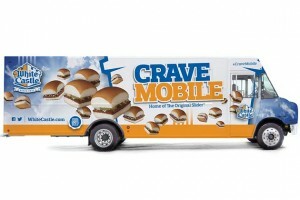 Continuing along with my southern food coverage theme of late, I just discovered that White Castle is entering the food truck business and they’re doing so in Louisville, Kentucky. There are plenty boring, corporate restaurants in the food truck business (Sizzler, Wendy’s, Taco Bell) but none has the gravitas of White Castle. No less a luminary than Josh Ozersky claims that Walter Anderson, founder of White Castle, invented the hamburger; he’s wrong of course, but that does not diminish the power of the chain. At a recent food truck festival in Las Vegas, lines to get a White Castle slider exceeded a 4 hour wait time! Sounds like some of the doofuses who queue up for brisket in Austin have migrated west. Opening a food truck in Louisville, Birmingham or perhaps Jackson Mississippi makes a lot more sense than trying to penetrate the completely saturated market of an Austin or Orange County. White Castle didn’t grow to become a 4oo unit strong chain by being un-savvy. This was clearly a well thought out move. Any readers in Louisville? Please report back. This entry was posted in FOOD, The Foodist and tagged josh ozersky, kentucky, louisville, walter anderson, white castle food trucks. Bookmark the permalink.